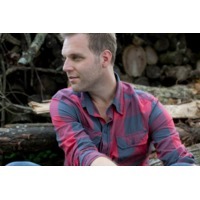 Matthew Joseph West (born April 25, 1977) is a Contemporary Christian musician from Nashville, Tennessee. He has released four studio albums and is known for his number-one hits "More", "You Are Everything" and "The Motions". He was nominated for five Dove Awards in 2005, two of which were for his major label debut album Happy. First starting out as an independent musician in the late 1990s, he released three independent albums before signing onto Universal South Records. With the release of his Dove Award-winning debut album Happy (2003) came the success of his first radio single "More" which stayed at number one on Christian AC charts for nine weeks and received two Dove Award nominations. His second record History (2005) was followed by a 2006 re-release of the originally independent album Sellout. In 2007 he faced vocal issues which threatened his career and two months of prescribed vocal rest. West's third studio album Something to Say (2008) was released in January of the following year and also enjoyed chart success with number one hits "You Are Everything" and "The Motions". In addition to his main solo career, West has worked as a songwriter for many Christian musicians and groups such as Point of Grace, Mandisa and Natalie Grant as well as mainstream country acts Rascal Flatts and Billy Ray Cyrus.